I do love a pink lipstick - if you came to my house you would see that my personal collection is mainly pinks and nudes, with a few reds and purples thrown in. You'd think there are only so many pinks you can buy without repeating lipsticks, albeit through different brands. 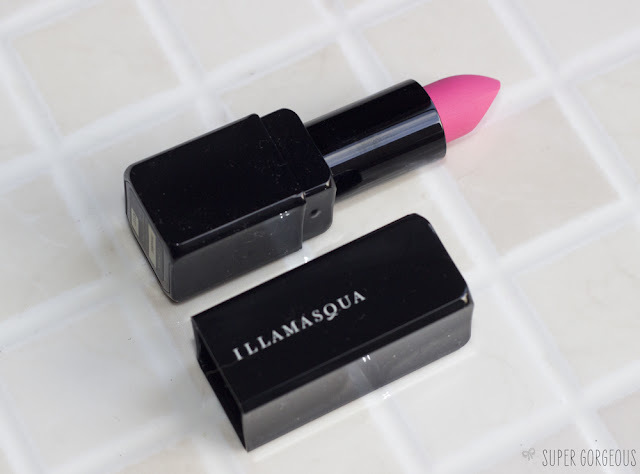 Illamasqua's Immodest is definitely one I don't have anything else like in my stash. It's gorgeously bright pink - verging on neon, which is matt in texture. Because of the matt texture it's not one to wear when you have dry lips - you really need to make sure the lips are prepped well and there are no flaky bits otherwise it will definitely show up as it's dry itself (although not drying). The bonus is that it will last an absolute age on your lips. As I sit and type this I have had it on for 3 hours and it doesn't look any different from when I first applied it! 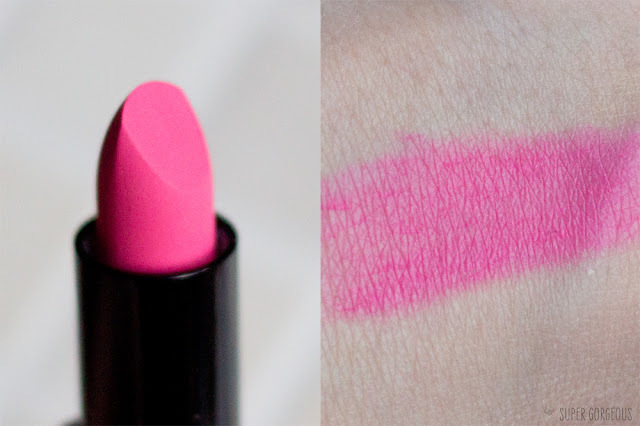 Despite the massive pop of colour, Illamasqua have managed to make such a wearable shade of neon pink - I love it! Very bright colour! I'm not sure if I would wear it, but it suits you! I've heard so many good things about this shade and I love it! It really suits your complexion and it's so bright! Perfect for summer. Very pretty!! I always lean towards pink on my lips. Just so fun and girly! Very pretty! I normally pick a more neutral pinky/peach shade but this is gorgeous!